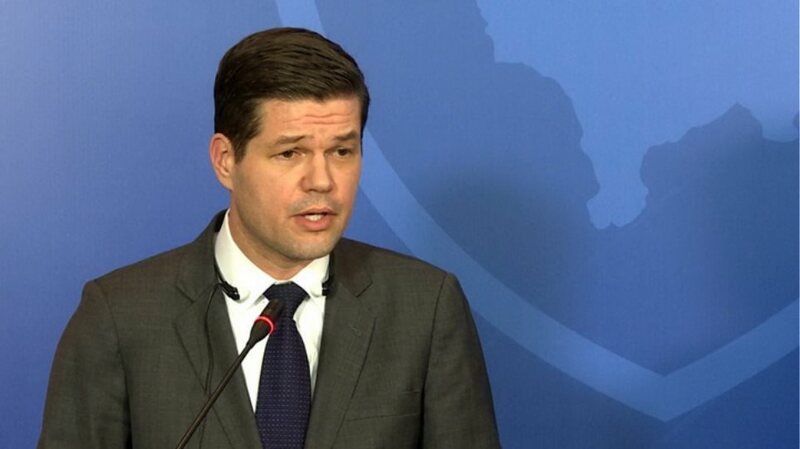 The resignation of the U. S. assistant secretary of state for Euro-Asian affairs Wes Mitchell is bad news, said foreign minister Ivica Dacic. As Dacic said, Mitchell has understood that U. S. “should open its door for the compromise of Belgrade and Pristina. “It’s obvious that this place is cursed. Whoever deals with us, his political career fails”, Dacic told reporters in Belgrade. Dacic also spoke about the European Union’s destiny. “I have expressed my concern that if the EU does not collapse now, that will happen when all Yugoslav peoples become its members”. In his “farewell letter” Mitchell stated that he was proud because of his diplomatic efforts with an objective to maintain trans-Atlantic unity, considering the sanctions against Russia, releasing American pastor Andrew Brunson from Turkish detention and the American support to the dialogue between Athens and Skopje. The State Department has announced that Mitchell would step down on February 15. Reuters news agency underlined that Mitchell’s resignation came amid tense trans-Atlantic relations due to the policy of US president Donald Trump. There were no any obvious signs that Mitchell, former political analyst for the Central and Eastern European issues, would resign over his dissatisfaction with Trump’s administration approach. Mitchell had been nominated when U. S. secretary of state was Rex Tillerson, back in 2017. Trump fired Tillerson in 2018. The president and former secretary of state had different views on some international issues, such as the nuclear deal with Iran.